At the Metropolitan Museum of Art, the scene could best be described as La moda meets the manger. Perhaps the last thing the fashion reporters and enthusiasts expected at the Met’s landmark exhibit on faith and fashion was an introduction to Jesus Christ, but that’s what they got. Cardinal Timothy Dolan, the archbishop of New York, reminded attendees at the press preview for the event what the Catholic imagination is all about. “In the Catholic imagination, the true, the good and the beautiful are so personal, so real, that they have a name: Jesus Christ who revealed himself as the way, the truth, and the life,” Cardinal Dolan emphasized. He began his remarks by noting that some attendees may wonder why he was on hand for the opening of the largest exhibit in the history of the Metropolitan Museum of Art – or why, for that matter, the Church was involved at all. He admitted that, at first, he had his own reservations. The exhibition, “Heavenly Bodies: Fashion and the Catholic Imagination,” which opens on May 10, and runs through October, includes 40 masterworks from the Sistine Chapel sacristy, many of which have never been outside of the Vatican. Cardinal Dolan praised the exhibition as “radiant,” adding that the pursuit of the true, the good and the beautiful motivate all of Catholic life. “That’s why we have great schools and universities that teach the truth. That’s why we love and serve the poor to do good, and that’s why we’re into things such as art, poetry, and music, literature, and yes, even fashion, to thank God for the gift of beauty,” he said. 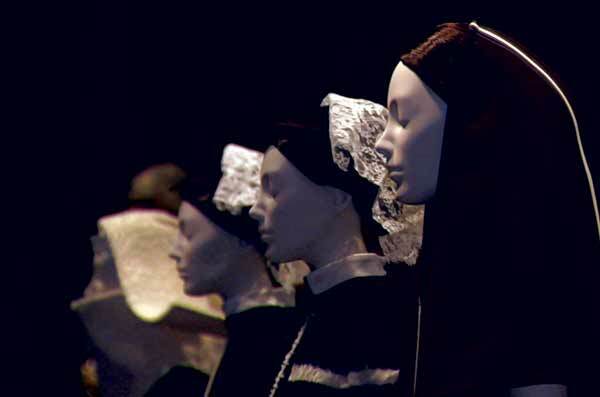 The curator of the Met Museum’s Costume Institute, Andrew Bolton, said the costumes are displayed at the Met alongside religious artwork in order to provide context. “In ‘Heavenly Bodies,’ it’s the narrative impulse of the designers that are the deepest and most profound expression of the Catholic imaginations,” he added. While noting that many of the designers were raised Catholic – and some have either left the faith or have complicated relationships with it – Bolton said that almost all of them attribute the Catholic imagination as being inescapable from their creative process. He added that the same experience was true for him, and in an interview with The Tablet, he brought it all full circle with the cardinal’s starting point. “So, it becomes sort of digestible,” he concluded.